Take a look at the diagram below, showing two (Cisco) routers. HugeCorpCoreRouter is a mighty behemoth with a six figure price tag. It has redundant route processors, handles many gigabits per second of business-critical traffic, has all sorts of esoteric connections and requires a squad of elite ninja black-ops CCIEs to keep it all running. 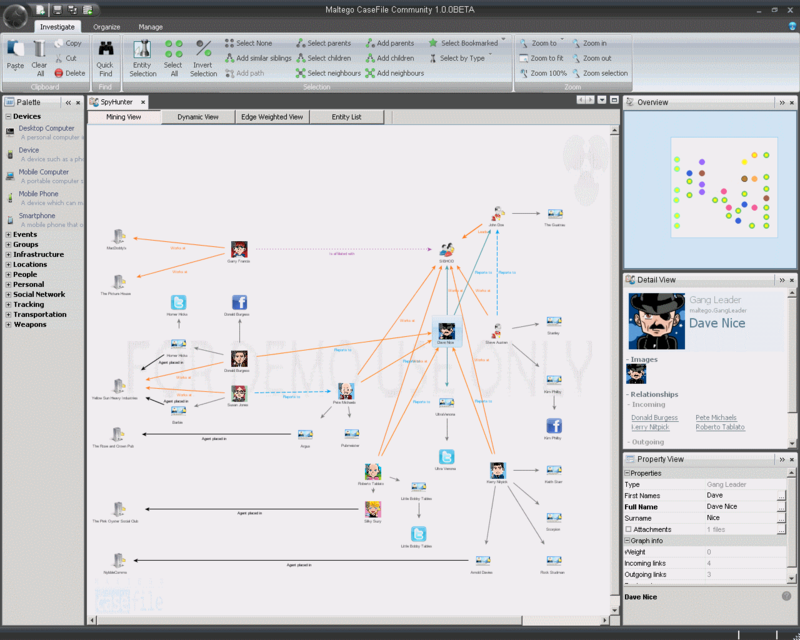 TinySOHORouter, by comparison, is a trivial speck on the corporate network diagram. It has a single ADSL connection and performs the usual SOHO tasks of NAT, firewall, DSL dialup, etc. Both routers export Netflow data to a central collector. As you ponder my da Vinci-like Visio skills, consider the following question. Which router will pose the greater Netflow analysis challenge to the security team? Netflow is, by default, an ingress-based technology, which means that the router’s flow cache is updated when datagrams are received by an interface. 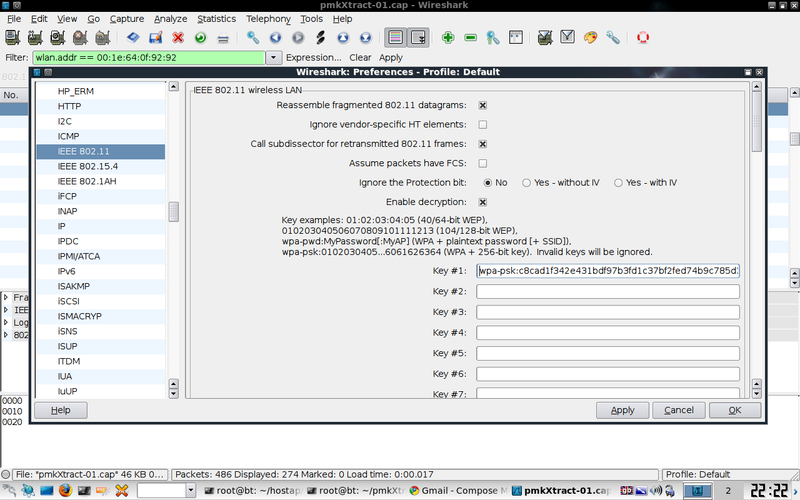 However, a datagram doesn’t have to enter and leave the router to leave an impression in the flow cache. This manifests itself in an interesting way when a firewall is sticking its oar in. But what if there were an ACL in place that drops all traffic to port 80 on 192.168.0.1? Dropped datagrams are one of the byproducts of any kind of firewall or ACL – how does Netflow handle those? Let’s say a datagram from 10.11.12.13 is received, destined for 192.168.0.1:80. As this destination is denied by an ACL, the router duly drops it. Netflow, being an ingress technology, will still put an entry into the flow cache to describe the flow, despite the fact that the datagram was dropped by an ACL (even if the ACL is applied in the inbound direction on the receiving interface). There is no output interface for the flow in this case, so what does the router put into the flow record to denote this? Flows that are either a) dropped by the router or b) destined for the router itself (SSH sessions, for example) will have zero in the output interface field, to show that the flow entered the router but did not leave. So why is this a problem for the analyst? Let’s say I run a report that shows all destination ports for destination IP address 192.168.0.1 (in a naive attempt to find out “what services have people been using on my server?”). Much to my surprise, port 80 features prominently. Why’s it in the report? Isn’t it blocked by an ACL? Have we been hacked? Has the APT Bogeyman paid us a visit? Fortunately, we’re safe. Port 80 features because 10.11.12.13 tried to talk to it, causing a flow to be logged despite the fact that the ACL dropped the traffic. If you were to re-run the report asking for the number of bytes transferred between 10.11.12.13 and 192.168.0.1:80, we’d see 40 bytes in the client->server direction (the size of an IP datagram with a TCP SYN in it) and zero bytes in the server->client direction, which describes the ACL drop nicely. Keep this in mind when designing reports based on Netflow data. Certain products like Netflow Analyser are able to take this behaviour into account to a certain degree (“Suppress Access Control List related drops”). Alternatively, you could use the Netflow v9 flow record format if your router and analysis tools support it. There is a useful field called “FORWARDING STATUS” which tells you if a flow was forwarded, dropped or consumed, allowing the analyst to differentiate between traffic dropped by the router and traffic destined for the router. Very handy. Our second bugbear can also cause problems, especially if we want to ask questions like “show me all the traffic destined for the single PC behind TinySOHORouter” – the report in this case will be totally blank, even if the PC has been hitting Facebook all day long. But why? Take the simple case of an HTTP flow between our single PC at 10.11.12.13 (a private IP address on a router’s FastEthernet0 interface) and 123.123.123.123 (a public webserver on the Internet via FastEthernet1). On its way out of the router, the private 10.11.12.13 gets NATted into 111.111.111.111, the IP address of FastEthernet1. A TCP segment from 10.11.12.13 destined for 123.123.123.123 is received on Fa0. An entry in the Netflow cache accounts for this. The router decides that the traffic should be sent out via Fa1, and does a source IP address NAT translation from 10.11.12.13 to 111.111.111.111 before it sends it on its way. The TCP response is eventually received on Fa1 from 123.123.123.123 destined for 111.111.111.111, which is 10.11.12.13’s “outside” address. An entry in the Netflow cache accounts for this. The NAT translation from 111.111.111.111 to 10.11.12.13 takes place, and the TCP response is sent out of Fa0. If your router and Netflow collector support it, disable ingress Netflow accounting on Fa1 and enable both ingress and egress Netflow accounting on Fa0 (the inside interface). This means that all flows will be accounted for on the “inside” of the NAT process. Take care, though – by doing this we are causing Netflow to “ignore” all traffic that does not cross Fa0. This may or may not be a problem, depending on your topology and requirements. Also, think very carefully about this approach if your router has many layer 3 interfaces. If ingress and egress Netflow were to be enabled on both Fa0 and Fa1, there’s a chance your Netflow collector could see duplicated flows. This will give you a log of all NAT translations that you can use to find out the actual destination for the traffic from 123.123.123.123 to 111.111.111.111. Your Netflow collector may even be smart enough to correlate this information onto other “standard” flow exports, which would be a very neat trick indeed. Take care, though – this approach has the possibility to add significant load to your router, your syslog server, and your syslog analysis mechanisms – it becomes a manual task to correlate the NAT translations from syslog to the Netflow exports from your router. Of these, only the dialer and virtual-access interfaces are layer 3 interfaces that can participate in Netflow, and of these the user only has direct control over the configuration of the dialer interface. So we just enable Netflow on TinySOHORouter’s dialer0 and inside ethernet interfaces and we’re done, right? If you were to use your Netflow analysis tools to look at an interface graph for dialer0, all you will see is outbound traffic. You’ll also notice that the virtual-access interface has popped up as well, showing only inbound traffic. No one interface has the complete picture. How to get around this? Either just “keep in it mind” when performing analysis, or hope that your Netflow analysis tools have some way to cater for it by plotting the outbound traffic on dialer0 and the inbound traffic on virtual-accessXX on the same graph. Those are all the Netflow analysis “gotchas” that spring to mind – can anyone think of any others?